Data science professionals are a driving force in a modern corporate environment. Business leaders depend on accurate data –and analysis of that data –to make informed decisions, accurate predictions, and plan for the future. Effective use of data is key to deepening our understanding and application of business, economic, social, and physical behavior. Data scientists are in demand to make the most of this Big Data and enable professionals to make informed decisions based on a complete analysis. DataScience@SMU prepares you to manage and analyze large amounts of data and drive strategic change in your organization. The Master of Science in Data Science program offers business analytics and machine learning specializations, which allow students to customize their curriculum to align with their career goals. Students benefit from networking opportunities with SMU’s connection to global business communities across a range of industries. GRE waivers available for qualifying applicants. According to a study by the McKinsey Global Institute, there is a significant shortage of data scientists. Working professionals often don’t have the time to take off of work and attend courses in a traditional classroom program. Earning an online master’s in data science is a great choice for busy professionals who need the skills and training to make sense of big data. We understand that finding an affordable master’s program is a key factor for online students. We reviewed each school’s average graduate tuition rates from College Navigator, a website provided by the National Center for Education Statistics that provides information on institutions of higher education around the country. While we looked specifically at tuition rates for graduate school, we acknowledge that tuition rates can vary depending on program incentives, online program rates, and financial aid award packages. Always consult the university to find out specifics related to their data science program and if they offer any incentives or scholarships to reduce your overall cost. Looking at each program website, we tried to determine if content was available 100% online or if there were residency requirements to complete the program. Schools with 100% online content were given 2 points. We felt that schools offering an area of concentration within their online master’s of data science were worthy of a higher ranking. Concentration areas enable students to specialize in an area of interest or complete coursework required for their specific area of data science. We also looked at a school’s student/faculty ratio and awarded more points to schools with a lower ratio. We believe a lower student to faculty ratio allows students to get more individualized attention and support throughout the program. While this may be less critical in an online environment, we recognize that not all online learners are independent learners and knowing that individualized support is readily available can be very important. 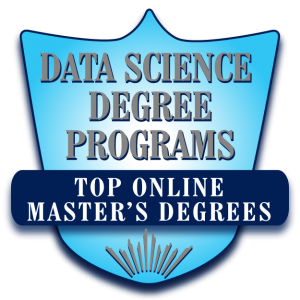 Below are the best online master’s in data science based on our criteria. We believe our list highlights the best of the best in quality online master’s in data science programs. The program is designed for working professionals, giving students 24/7 access from anywhere in the world. Merrimack is top ranked by both The Princeton Review and U.S. News and World Report. All students complete a business analytics capstone to showcase their talent and skills. Johns Hopkins University has one of the best Information Technology online graduate programs in the country according to U.S. News and World Report. The program is open to both full and part-time students and can usually be completed in about two years. Students will learn to effectively utilize different types of data to formulate and test hypothesis, reach conclusions and then communicate results to stakeholders. Culminating learning experiences give students the chance to apply what they know to real-world scenarios. Faculty come from four different colleges and four academic departments, lending their unique perspectives to students in this top online data science bachelor’s program. Students can choose an optional concentration in business analytics. This top master’s in data science online takes just 24 months to complete by one course per term. Villanova University is ranked second in the nation by U.S. News and World Report for its online degree programs in business. Students can choose to complete a thesis or a capstone project and an additional elective course depending on their future educational goals. Like the idea of an online data science degree but not sure you are ready to take the plunge? The top online data science program at Kent State is also available in a classroom format. The University of California Riverside is accredited by the Western Association of Schools and Colleges. 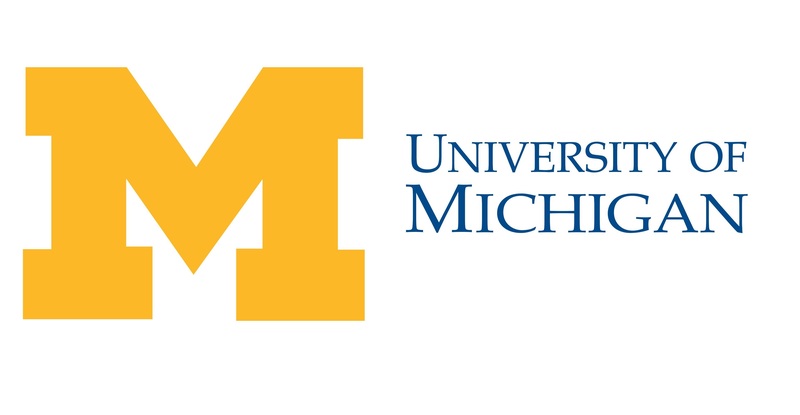 U.S. News and World Report ranks it among the top 33% best engineering schools in the country. A virtual lab is available for students to access tools such as SQL Server, R, Python, and Tableau which saves students the expense of purchasing software on their own. Students don’t need any specific experience or background in data science to apply to the program. However, experience in math, computing, or statistics will be helpful. This 30-credit hour is offered in a 100% online format that works well for busy professionals. There are no residency requirements and no GRE or GMAT required for admission. A final capstone experience allows students to complete independent research and data analysis, preparing them for the workforce. The program can be completed in just 20 months by completing two courses each semester. Graduates have landed positions at some of the top companies in the country including Amazon, Facebook, IBM, and Allstate. A business analytics practicum experience gives students the chance to demonstrate their skills on a real world issue. The program is available 100% online, but is also available in hybrid or a traditional in-class format. Full-time students can complete the 30-credit hour program in just one year. Small class size promotes personalized interaction between students and faculty. The program is offered part-time and can be finished in about two years. Students can choose to complete either a thesis project or a final project that allows students to showcase their knowledge and skills. This top online master’s in data science is ranked 6th in the country among the Best Online Graduate Computer Information Technology Programs, according to U.S. News and World Report. Small course size ensures that online students receive individualized attention from Ph.D. level faculty with hands-on experience in the field. Western Governors University features a top online master’s in data analytics designed to help students make connections out of chaos. Each student is assigned a faculty member as their Program Mentor who provides guidance and support throughout the program. The real world curriculum includes a capstone project that gives students the chance to take what they have learned and propose a solution to an issue in their specific industry. Want the most bang for your buck? The program includes the coursework needed to earn the SAS Certified Statistical Business Analyst using SAS 9 and the SAS Certified Base Programmer for SAS 9. The top online master’s in computer science at the University of West Florida is a dynamic program offering concentration areas in either software engineering or data science. The program can be completed fully online, making this a great choice for working professionals. Courses are delivered through an interactive video-conferencing tool. This allows students to join lectures and interact with faculty and peers. Most students can complete their degree in one to two years, depending on their course load. take additional electives and complete a professional practice. The CUNY School of Professional Studies in New York features a top online master’s in data science. It offers foundational knowledge and hands-on training that prepare students for an exciting career in data science. Students will get experience using Python and R, build predictive models, and create presentations to share results. Faculty utilize open source tools that meet the demands of employers and organizations with complex data sets. A capstone project concludes the program as students develop data driven solutions to address real business problems. This 30-credit hour program can be completed in just 18-24 months of full-time study. Most students can complete the program in just 24 months, including the time to complete either an internship experience or capstone project. Class size is intentionally kept small to give online students the extra support they need for success.